Carmarthenshire Moth and Butterfly Group: Rain Stops Play! Both last night`s weather and the forecast for tonight is playing havoc with my moth trapping, as both involve extended heavy rain over the (approx) 7.00pm to >midnight period. This makes setting the traps out away from home too much hassle ( I don`t like getting wet! 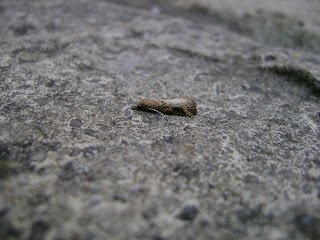 ), and the home trap on a puddled flat roof will be a disaster with moths stuck all over the place. I have some nice target sites lined up too, and there`s still many potentially interesting moths to be had. Very frustrating - aargh! 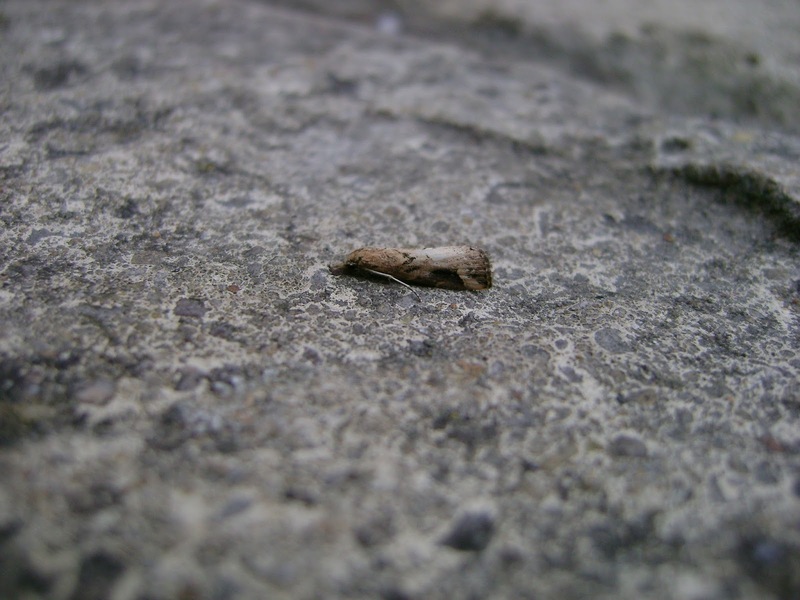 The night before last ( Tues) I trapped at home but it was a very mediocre catch, with the only slightly interesting moth being a pinion-streaked snout, an indifferent photo of which is given below.